Many critical issues tied to fundamental bureaucratic reform and redirection of federal policies await the Trump/Pence cabinet. But one cabinet pick, often forgotten and vital to redirecting national policy at a time of crisis, is the so-called “Drug Czar.” Formally, this post is known as the White House Director of the Office of National Drug Control (ONDCP). This position has never been more important, nor has any president been better positioned to shape the future with such an appointment. 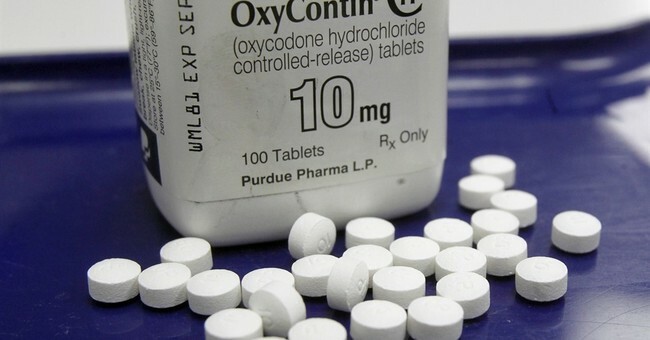 Opiate addiction has skyrocketed, leading to a breathtaking loss of 47,055 lives last year. Deaths by synthetic drugs quintupled in some categories. Marijuana use, the number one basis for drug treatment, has jumped by 27 percent (during Obama’s years). Drugged driving has risen by roughly 20 percent, and 80 percent of men arrested for property and personal crime in major cities test positive for drugs. This is a genuine crisis enveloping the country. To assess the mandate for change, consider that every single state and congressional district is affected by this crisis. Every teacher and parent knows that something is badly wrong. Governors, police chiefs, mayors, and sheriffs are all spending more time on this issue than when they first took their jobs. The fabric of the country is being affected. Now, add the overlay of national security, intelligence sharing, second and third order effects on public health and safety, and you have a bona fides crisis. People do not like to talk about this issue, but they must – and so must a drug czar and the next president. Yes, everyone has their role, and there is room for discussion at edges of every hurricane, but preparing, responding, and engaging frontally and without compromise at the moment of high risk and concern –now – should be the priority. There are good people who will fill key roles, focusing intently on this issue, including at the Drug Enforcement Administration (DEA), Justice, Defense, State and Health and Human Service Departments, but the next President needs to have – and will send a clear signal to working parents, kids, civic leaders, and law enforcement officers by having – a cabinet-rank White House drug czar. Two of the best who have held this position were Bill Bennett and former General Barry McCaffery – both got real results for America and their presidents, working with the public and with Congress tirelessly. Both could do that because they had a position in the cabinet. The crises that faced Presidents Reagan, Bush and Clinton were nothing by comparison, on hard numbers, to what we now face. So, President Trump and Vice President Pence, assuring your White House Drug Czar has “cabinet rank” is …essential. Arguments can be made for dual-hatting that role with a new DEA Administrator, assuring counter-terrorism and counter-narcotics mission are locked tightly together, that information is shared seamless with the National Security Council, up and down law enforcement and across prevention, treatment and state and local leadership, but that are discussions for another day. Needed now is a clear message, and clear commitment, to ending the unconscionable, avoidable, reversible and significant drug crisis confronting the country. Having long ago helped Congress write laws that must now to be enforced, and which in some ways have been badly battered, from the Drug Czar Authorization Act to the Drug Free Communities Act, the Speed Trafficking Act (advanced by a Congressman named Sessions), to Plan Colombia and the Drug Kingpins Act, time is now to make these laws real. It's time for the nation’s drug czar, attorney general, and DEA head to speak with one voice. They also need to act with “unity of command” and pursue one mission, helping reduce the “grief quotient” of parents, frustration of communities coast to coast, and national security implications. and then letting the nation know that America is committed to our kids and public safety, law enforcement, prevention, effective treatment, and this important element of national security. We will all benefit with that priority set.